Now my gl320 with almost 110K miles started having air conditioning problems, very cold for days but sometimes will stop working for few minutes... today after few months stop cooling, I was researching for the real problem, my freon gauges were showing that the compressor was trying to start but will stop after just 5 PSI movement, charge was perfect, dealer added freon just to make sure when this problem started, I will be replacing the compressor and drier, ebay Denso cost around $450, mercedes dealer is asking around $2100!! lucky me I am a HVAC contractor. Hi, i was just searching for similar problems with a gl 450 which is what i currently have, mine is a GL 450 2012, i am leasing for 3 years, 2 more to go cant wait to get rid of it. i have had hesitation problems and back and forth to the dealer, they decided to let me swap with another Mbenz, then without an explanation they rescinded the offer and all they say was that "the way the vehicle drives is a characteristic and is how it was designed"..pretty much they are not willing to do anything. This issue has been going on since March of this year, many emails, phone calls to customer assistance care (CAC) what a joke they are, trips to the dealership bottom line they havent done anything. i feel your frustration regarding how management customer care for such a prestige company like Mbenz can care less for their customers, this is my second car with them and believe me the last one same for my family. After spending about 80K you expect to drive a car without issues and be able to have someone from management address and listen to your concerns, and not just have you go thru the 1-800 #. Hesitation/delays is dangerous when you have the right to go and your car wont respond or after a yield sign or if you need to merge into a highway or street. They have been given us the run around. Lastly they send a letter offering about 3000$ for the inconvenience, and we can use it towards a purchase of a new GL, and is valid for one year, HELLO..i already have one MB that I want to get rid of, and secondly my lease is not up until 2015... I felt insulted, and looks like they had no clue about what they were writing. i am still pursuing my case. Good luck everyone. We traded the GL550 in for a Lexus RX450 hybrid. Took a $20k loss so we could break free from this lemon. We are so much happier! Mercedes is worst product on the planet and doesn't stand by product! Never buy again! We LOVE our new Lexus! 2009 GL320 Nothing but a piece of [non-permissible content removed]!!! Need to visit the repair shop every two months. Had to replace the Heating Element for Hi-Def Fluid $1382, Engine oil coolant leaking $1200. Airmatic suspension replaced under warranty both sides. Power Steering failed under warranty. There are also other issues, dealer cannot seem to find out the source of the problem. Spending $82K on this SUV is not worth it. 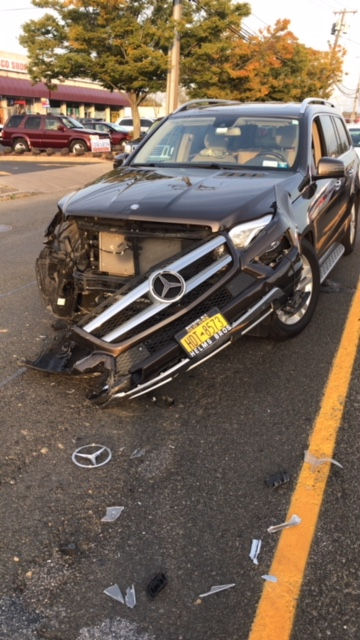 I DON"T RECOMMEND BUYING ANOTHER MERCEDES AT ALL. POORLY ENGINEER... "The Best or Nothing" Thats [non-permissible content removed] joke!!!! Mercedes Benz 2008 GL450 ISSUES!! When the GL450 first came out, we leased it and frankly did not have any issues. About 3 years ago, we purchased a CPO (Certified Pre-Owned) 2008 GL450 with about 30,000 miles or so on it. The car truly was a dream until it hit exactly 70,000 miles and then suspension issue after suspension issue. Someone in the thread hit it right on the head, the dealer only goes by error codes and this car does not give error codes. I'll skip the boring details, but the car has always been serviced by the same dealer I purchased it from and they always made me feel I'm crazy as the car never dropped when they had it. They even kept it for a week and it didn't drop. Well, it dropped when I got it back and I took a cell phone video and showed them and they changed the air ride suspension and struts. Now, just today I'm driving and I have the heat at full blast as my windows were fogging up and the blower isn't working. With all of these issues, I've spoken to the dealer and they claim my experience and issues are ONLY occuring with my vehicle, clearly they need to read this forum. I love this car, but I'll never purchased a used Mercedes, too many issues. I'm just thankful I purchased the extended warranty on it. We purchased a brand new 2010 Mercedes-Benz GL450. Fully Loaded, including entertainment and towing packages. In January 2014 our problems started. The car had just a little over 60K miles. Airmatics were gone, one after another within days. One of them even blew up. 4 Electrical problems, including radio, and door locks. All repairs costed more than $4,500 within 6 months, and it continued until we had enough. It just started to fall apart after 60K miles. I gave it away for $26K. Lost almost 50 grand in 4 years. I was lucky with that history of repairs. Do yourself a favor get a Japanese car. Our time, hard earned money and peace of mind are valuable. Stay away of this car and brand. I'm so glad I got to read this now. I was going to trade in my 2011 328xi Wagon (which is with 50k miles and never gave me any problem besides replacing light bulbs once in a while) for a GL. I just changed my mind, thanks for the feedback! 17k miles on 2014 GL550 with the only repair work done outside of regular maintenance is replacing a front half-shaft due to a leak and replacing the steering column due to a failure in the tilt mechanism. Just returned from a ski trip and the GL is great in the light snow, rain and icy conditions we experienced on this trip. This is a heavy, powerful vehicle with the industries best 4WD which may inspire others to attempt tackling conditions beyond the capabilities of the street wheels and all-season tires outfitted on these trucks. A set of winter wheels and tires would make this on-par with the best AWD/4WD out there. The air suspension provides for the best-in-class ride but that comes at a price when the struts wear out as all suspension parts do. These air-ride components are extremely expensive, but one can save costs by purchasing quality after-market components from Arnott Industries at a significant savings. The air-matic suspension hydraulics use a similar fluid to brake fluid, which is hygroscopic (attracts water), and will cause these systems to fail due to corrosion and fluid breakdown. Whereas Mercedes recommends brake fluid flush every two years for this reason, there is no factory recommendation for changing the fluid and filter on the air-matic which leads to premature system failures. This may be due to the high cost of flushing the fluid and filter changes at the dealership as this requires individual suspension articulation on a "rodeo machine" to flush the fluid completely and costs about $600. Mercedes may have figured $600 every two years or $2500 to begin replacing failed components after 6-8 years is a wash so they do not recommend any maintenance on this system. There is some strong discussions on Mercedes owner forums about this topic and how the DIY can be done for under $100 making fluid changes a much more practical maintenance. Keep in mind that the GL costs $80-$100k new because of all of this technology, so when you pickup a used model for $30-$50k, you are still maintaining a $100k vehicle and will need to brake open the wallet much wider than for a $40k new SUV. What you get in return is a world-class SUV, one your friends and family will envy, and something that comfortably and safely transports your family for many years if properly maintained. Anyone know how to get out of a lease? I have a 14 GL450 that I purchased in August 2014. Having issues with the engine already. I left lexus to try out MB but not sure if that was a wise choice. Trying to get out of a lease early usually involves a massive hit to your finances. You will be much better off to just let them fix it and give you a loaner when it's in for service. I bought a 2011 GL450 used with 67000 miles. Big mistake. Bad passenger side cylinder head. Now I am out $5000. I should have read more first. My suburban with 100,000 miles runs better. All Mercedes corporate did was waste a week of my time. Rehearsed excuses about how it isnt their fault. Vehicle was served at Mercedes every 10,000 miles, on time. All they can do, they said, is give me a discount on a new Mercedes. They must think I am stupid. This one will get sold and I will go back to Lexus. I have had three Lexus and never a mechanical failure. My wife and daughter both need vehicles. No Mercedes for them, either. I own 2013 MB GL 450 which I bought new. It has had numerous "electrical problems" ever since we bought it. It has been at the dealership for past 4 weeks this time and still no diagnosis and no time frame by which the problem will be resolved. MB corporate was not helpful last year when I had similar problems. My question: is there or was there ever a class action law suit filed against MB ? I never understand the class action law suit questions. Why wait two years to get a coupon off a new car? If you think the manufacturer or dealer is giving you the runaround, why not go find an attorney (or consumer protection agency) and make an appointment? Lots of initial consultations are free. You may not qualify for a lemon law claim, but you may have some sort or warranty claim. If nothing else, sometimes an "official" letter can push a company to do the right thing and fix your car. Pretty sure it's designed to do that in an accident. I know all that plastic crap will be expensive, but at least it's not made out of metal, and ended up crumpling your hood and fenders, or even bending your subframe.